AASLH Historic House Museum workshop at the Oaklands Museum, 2013. On Monday, August 17, I’ll be leading a one-day workshop on interpretive planning for history museums and historic sites in Murfreesboro, Tennessee. Sponsored by the American Association for State and Local History, Humanities Tennessee, and the Tennessee Association of Museums, the workshop will layout effective strategies for interpreting history and the humanities at museums and historic sites, explain how to use StEPs as a model for standards and best practices, and show how to conduct a self-evaluation of interpretation in order to prioritize activities. It’ll be hot in Middle Tennessee but the workshop will be held in the comfortable and cool visitor center at the Oaklands Museum. Registration is $75 and $15 for members (you read that correctly–$15!) and includes lunch. To register or for more details, visit AASLH.org. This entry was posted in Historical interpretation, Training and tagged American Association for State and Local History, Humanities Tennessee, Oaklands Historic House Museum, Tennessee, Tennessee Association of Museums on July 9, 2015 by Max van Balgooy. 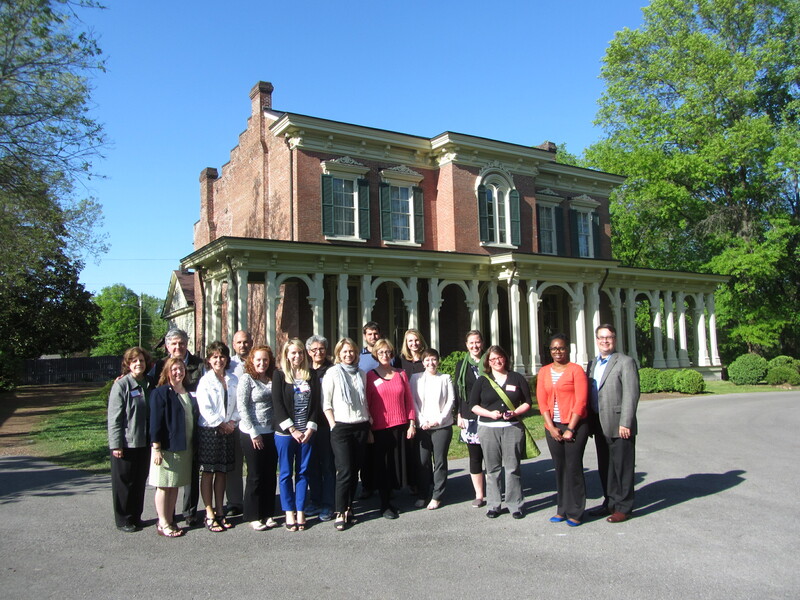 Last week I led an AASLH workshop with George McDaniel on the management of historic house museums at Oaklands, a mid-nineteenth century house in Murfreesboro, Tennessee. Eighteen people participated, most from Tennessee, but we had a couple from as far as Alaska! Adding to the diversity were several graduate students from Middle Tennessee State University (which has strong programs in history, public history, and historic preservation) and even though it was near the end of the semester and finals were on their minds, they helped enrich the discussions. This entry was posted in Collections, Community engagement, Fundraising, Governance and management and tagged American Association for State and Local History, George McDaniel, Oaklands Historic House Museum, Tennessee on May 1, 2013 by Max van Balgooy.